Last day of my holiday, so I’m off to spend a few minutes , at my currently “Local” Hifi emporium. With a bit of luck, I hope to audition a pair of these. 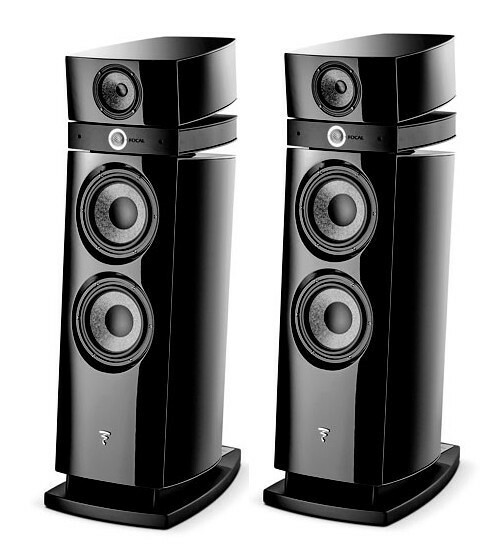 Focal Maestro Utopia Evo, and Retailing at approximately £45,000, it is such a modest price for such gorgeous gadgets. Bearing in mind, I’m no audiophile. TBH, I wasn’t there (Audio T store) to listen to them, went there to audition something much more meagre, in the ‘up to £1500’ price bracket I commented on the beasts and the salesman was happy for me to listen for a couple of minutes, all I wanted as I wasn’t in the market. From memory, the most obvious thing was the scale, absolutely enormous, as you’d expect. Coupled with beautiful clarity, they were very impressive, even though the acoustics and siting were probably not ideal. Would have been nice I suppose to have had a more critical/detailed listen, listening to music I was familiar with. New deck arrived today and its a looker by all accounts. Audio Linear TD 4001. New drive belt and Audio Origami bearing oil kit order. Also, new (used) SME 3009 currently off to Audio Origami for a Van Den Hul rewire and RCA conversion.... looking forward to getting this set-up! So it does not need a Matt like other turntables? Interesting design. I have seen them used with a glass platter on but no, I don’t think it is supposed to have a platter. There are small foam/felt pads on the outer bit to support 12” records. The smaller inner stubs sit slightly lower and support 7” discs. Information like this I like to hear!